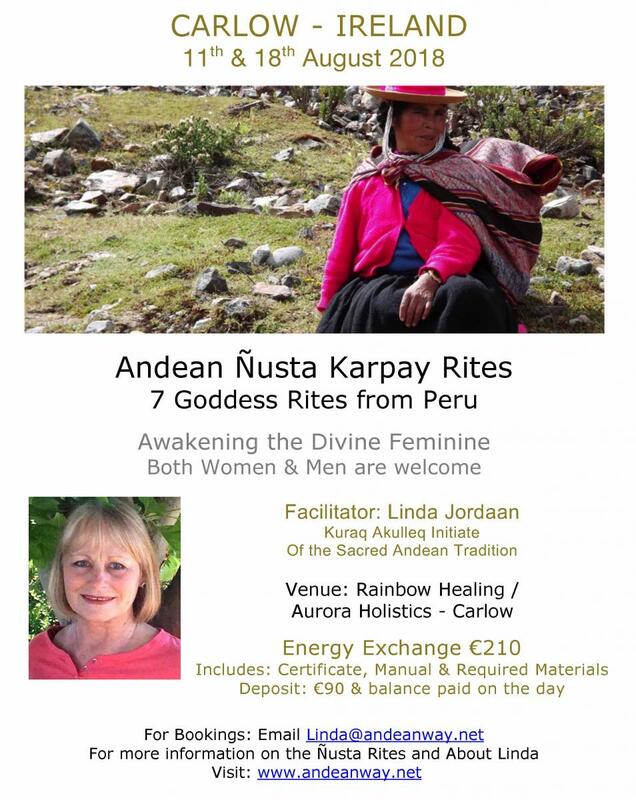 These rites are open to both men and women who wish to receive them. They are also suitable for newcomers and those who have trained in traditional healing ways. These transmissions offer each participant a profound connection with to the Nustas - known as the feminine energies in the Andes. living universe. The people have survived there for centuries, living above treeline at high altitude in simple homes made of the very substance of Pachamama, sheltered within the stones and soil of our Mother Earth. children of Pachamama depends upon restoring sacred reciprocity ~ Ayni ~ and a living balance of the forces of life in our world. villages of the high mountains of the Andes offer the possibility of transforming our relationship with ourselves, with each other and with the fast-paced modern world in which we live. within yourself, so do you help to heal Pachamama. lakes in Peru. They are also connected to other waters and mountains on our planet. In the Quechua language of the Andes, the word “Karpay” means a rite or ceremony of initiation. You will notice that when you commit to the workshop, the Nusta begin to work within you. Be alert to their conversation, through your dreams, imaginings and experiences with nature. spiral of light from your root to your crown. During this rite you will receive the ‘seeds of light’ in each of your chakras. These seeds are connected to the 7 shamanic archetypes through 7 stones (normal stones or chumpi stones). True Self. This rite is the integration of all the Nustas and their blessings, connecting you to the 7 sisters, the 7 stars of the Pleiades.